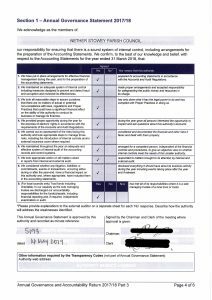 Our Accounts and Annual Return for the financial year to 31 March 2018 has now been prepared for audit. 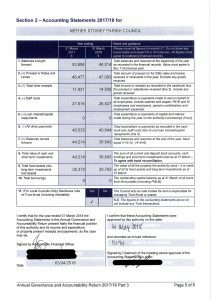 Details for public rights to inspect the unaudited accounts are given below. The key pages of the AGAR are below. Click on the page to open a bigger version in a new tab. 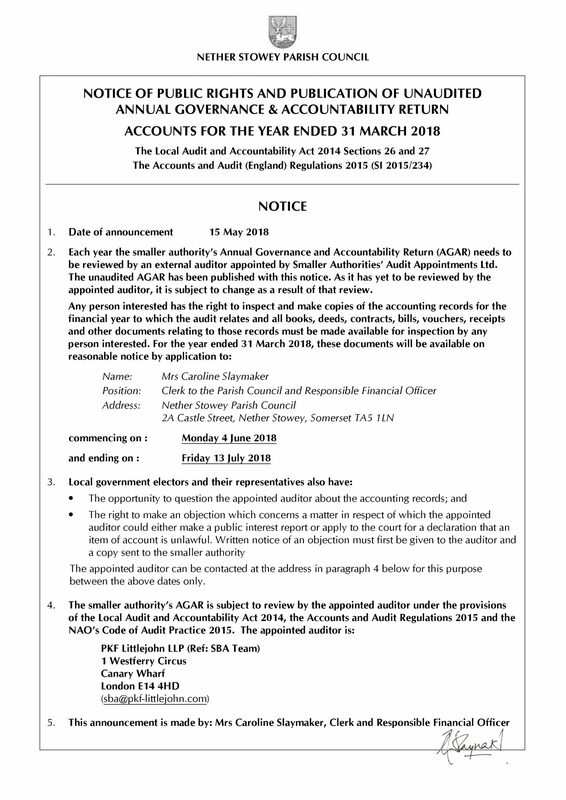 You can view or download Annual Accounts report here and the full AGAR return here. 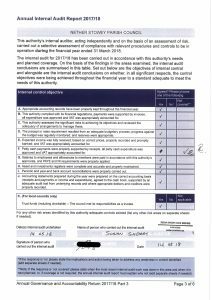 We expected the external audit to be concluded by 30 September 2018, and are still waiting for it.